Promoters of e-cigarettes like to claim the devices are a good way to quit smoking, but a new study finds that they are more likely to get young people hooked on nicotine, causing them to smoke more, not less. In the study, said to be the first of its kind, UC San Francisco researchers said the youths they studied using e-cigarettes were more likely to be trying to quit, but also were less likely to have stopped smoking and were smoking more, not less. “We are witnessing the beginning of a new phase of the nicotine epidemic and a new route to nicotine addiction for kids,” according to senior author Stanton A. Glantz, PhD, UCSF professor of medicine and director of the Center for Tobacco Control Research and Education at UCSF. E-cigarettes are battery-powered devices that look like cigarettes and deliver an aerosol of nicotine and other chemicals. Promoted as safer alternatives to cigarettes and smoking cessation aids, e-cigarettes are rapidly gaining popularity among adults and youth in the United States and around the world. The devices are largely unregulated, with no effective controls on marketing them to minors. In the UCSF study, the researchers assessed e-cigarette use among youth in Korea, where the devices are marketed much the way they are in the U.S. The study analyzed smoking among some 75,000 Korean youth. The study appears online in the current issue of the Journal of Adolescent Health. “Our paper raises serious concern about the effects of the Wild West marketing of e-cigarettes on youth,” said Glantz. Despite industry claims that it markets only to adults, e-cigarettes have achieved substantial penetration into the youth market. In the U.S., the Centers for Disease Control and Prevention recently reported that the majority of adolescent e-cigarette users also smoke regular cigarettes, and that the percentage of middle and high school students who use e-cigarettes more than doubled from 2011 to 2012. An estimated 1.78 million U.S. students had used the devices as of 2012, said the CDC. In the UCSF study, the researchers report that four out of five Korean adolescent e-cigarette users are “dual” smokers who use both tobacco and e-cigarettes. 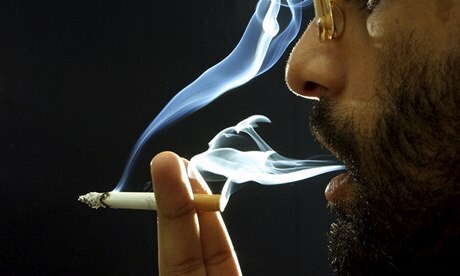 Heavy smokers who regularly puffed more than a packet of cigarettes a day cut down or quit for six months after their brains were stimulated with magnets, researchers say. The apparent success of the simple procedure has led the scientists to organise a large-scale trial which will launch early next year at 15 medical centres worldwide. Smokers in the pilot study had already tried anti-smoking drugs, nicotine gum and patches or psychotherapy to no avail, raising hopes that magnetic stimulation might offer an effective alternative for those who want to give up but have so far failed. Nearly half of the smokers in one group, who received high-frequency magnetic pulses, quit after a three-week course of stimulation, with more than a third still abstaining six months on. A recent report funded by the tobacco industry claimed that the illicit cigarette problem in Hong Kong is serious. A spokesperson for the study said the key drivers included tobacco tax rises in 2009 and 2011 and strength of enforcement against smuggling by the government. Hong Kong Council on Smoking and Health (COSH) has expressed reservations on its findings and believes there is no causal link between tobacco tax rise and the surge in illegal cigarettes. The tobacco industry always opposes increases in tobacco levies arguing that they intensify cigarette smuggling activities, but there is no evidence to support this. In fact, smuggling is also found in countries with a lower tobacco tax, like Malaysia (tax accounts for 53.7 per cent of the retail price) and Vietnam (41.59 per cent). Canada and Sweden attempted to combat cigarette smuggling in the 1990s by reducing tobacco tax, resulting in a hike of consumption and contraband cigarettes seizure. The World Health Organisation believes the most effective measure against smuggling is tight control and aggressive enforcement. Hong Kong Customs and Excise Department is determined to undertake stringent enforcement against illicit cigarette activities. A total of 65 million sticks of illicit cigarettes were seized in the first nine months of this year, an increase of over 30 per cent compared to the same period last year. The most effective way to tackle the root of the problem is to strengthen law enforcement and publicity and educate the public on the illegitimacy of illicit cigarettes. A significant tobacco tax hike deters young people from starting smoking and encourages smokers to quit. The World Bank claims every 10 per cent increase in the price of a packet of cigarettes results in a 4 per cent decrease in tobacco consumption in high-income regions like Hong Kong. Hong Kong’s tobacco levy accounts for only 65 to 68 per cent of the retail price, which is below the standard suggested by the WHO (at least 70 per cent). Compared to Asia-Pacific countries like Singapore, and EU countries, whose tax is over 70 per cent, Hong Kong’s rate is lenient. Each year, smoking causes nearly 7,000 deaths in Hong Kong, including 1,324 non-smokers, as well as HK$5.3 billion economic loss. To save lives, we want the government to implement a progressive and long-term tobacco tax increment policy and strengthen smoking cessation services. If you’re an e-cigarette user who’s bought supplies from Vapor Corp. or Global Vapor Partners, which includes the brands Smoker 51, Krave, Green Puffer, VaporX, and EZ-Smoker, you might want to take a close look at your credit card statements — and, possibly, talk to an attorney. Courthouse News Service reports that Vapor Corp. and Global Vapor are being sued for fraud in Cook County, Ill. The class-action suit, headed by lead plaintiff Jean-Francois Patterson, claims that the companies have not only been imposing fraudulent credit card charges – up to $100 per month for customers who only ever authorized an initial $4.95 shipping fee – but also made misleading claims on its websites. However, customers who return the products are charged a $10 “restocking fee” and not refunded shipping costs, which means that under no circumstance does a “free” trial actually cost the consumer zero dollars, the lawsuit alleges. The Better Business Bureau gives the company an F rating. We’ll admit we found no other scam reports when we did an online search for “Global Vapor Partners” – but then, our search on Nov. 27 brought back only three pages of any Google results, including the company’s own websites and the recent Courthouse News story. Here’s a general rule for safely shopping on the Internet: you should definitely avoid a company whose search results yield page after page of scam complaints — but you should also avoid a company whose search results yield hardly anything at all. 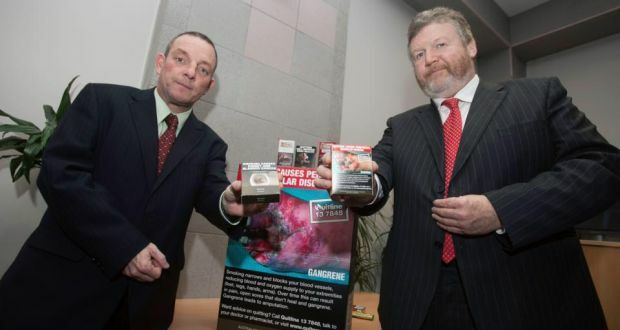 Minister for Health James Reilly said he would be “astonished” if legislation proposing cigarettes be sold only in plain packs did not prompt legal action from the tobacco industry. He was speaking today after the Cabinet unanimously approved the heads of a Bill which will force tobacco companies to sell cigarettes in standardised cartons with graphic health warnings. The Public Health (Standardised Packaging of Tobacco) Bill 2013 will outlaw all forms of branding on cigarette packs from trademarks and logos to colours and graphics. The Bill, which will also determine the size and position of the warnings, will now be submitted for hearings by the Joint Oireachtas Committee on Health and Children for review and report. After Australia, Scotland is going to be the second country that is introducing plain packaging for cigarettes. The Scottish Government has announced that the regulation will be active in 2014-15. Scottish Public Health Minister Michael Matheson said he wants to see Scotland in the forefront when it comes to reducing the harms caused by tobacco. Matheson informed that the tobacco industry has challenged them. But Matheson affirmed they will remain determined to introduce plain packaging. “To build a generation free from tobacco it is necessary to restrict the imagery and design that tobacco companies use to pull in another generation to use these addictive and lethal products”, affirmed Matheson. On the recommendation of Finance Minister Koen Geens, the Belgian Council of Ministers has approved a draft Royal Decree, providing for a rise in the excise duty rates imposed on tobacco. As a result, from January 1, 2014, the excise duty on cigarettes will be fixed at EUR6.8914 (USD9.2) per 1,000 pieces, while the special excise duty rate will be EUR16.70 per 1,000 pieces. For smoking tobacco, the excise duty will be fixed at EUR0 per kilo, while the special excise duty rate will be set at EUR14.5 per kilo. Furthermore, the minimal excise on the weighted average price is increased to 101 percent for cigarettes, and to 102 percent for smoking tobacco. The draft Royal Decree provisionally modifies the Belgian law from April 3, 1997, governing the tax regime for manufactured tobacco. Fewer people light up, including teens, but young children are more likely to try cigarettes – prompting education push in kindergartens. Kindergartens are to become a new front in the battle against smoking after a survey found that while the number of smokers in Hong Kong has fallen to an all-time low, more young children may be taking up the habit. The government survey of 10,000 households indicated that the proportion of the population that smokes has dropped to 10.7 per cent, from the 23.3 per cent shown in the first survey in 1982. In 2003, that proportion had declined to 14.4 per cent. It also found that 0.3 per cent of the Primary Four to Six pupils surveyed, or 410 of them, said they had smoked a cigarette in the 30 days before the survey, compared to 0.2 per cent in the same poll two years ago. More than 4,000 primary schoolchildren polled said they had smoked – and 1,800 of them said they had done so before the age of seven. But the number of teenagers smoking has fallen. Tobacco companies frequently seek to associate their products with certain lifestyle images in an attempt to foster brand-specific identities for their cigarettes. As demonstrated by industry-sourced segmentation analyses, for example, companies divide smokers into broad groups based on personal characteristics and strategise on how to adapt their products to increase attractiveness for these imagined communities.1–3 Linking tobacco products with the hallmarks of the digital age, such as social media and innovative technologies, seems to have become a marketing goal for a number of tobacco companies.4–6 Indeed, several studies have hypothesised that the use of mobile phones and smoking may be connected (either as complimentary or competing behaviours) in light of the fact that these products may provide users with opportunities for identity formation and rebellion.7–9 Drawing from a larger study of top selling international brands, we report three illustrative case studies which underscore a recognisable pattern of digital culture in package design. Between July 2011 and January 2012, we collected a sample of top market share cigarette brands comprising 193 cigarette packages from 23 countries as part of the wider Chatter Box project hosted at the University of Toronto’s Ontario Tobacco Research Unit. The countries targeted were culturally diverse, drawn from five continents (North America, South America, Europe, Asia and Australia). Using a combination of qualitative content analysis and semiotic analysis, we identified a common theme of ‘digital culture’ among a series of packs from countries including South Korea, Japan, Lebanon, Switzerland, Italy, Belgium, Russia, Serbia, the Netherlands and the USA. Kent has taken a leading position in using the concept of digitalism through Kent Convertibles (known alternately as the Kent Switch). The most noticeable design feature is the modified IEC 5009 ‘power’ switch that is used on many types of electronics and which has become something of an icon for the digital age, adorning t-shirts, coffee mugs and underwear. The way this ‘switch’ is positioned may encourage smokers to ‘click’ the switch as they open the pack, symbolically turning the pack on. The cigarettes themselves also carry the ‘power switch’ button. The top of the pack usually contains the word ‘Convertibles’ with the ‘o’ and ‘n’ located within a red circle, creating the shape of an ‘on’ button (figure 1). The notion of technology is underlined by instructions on the pack telling the smoker to ‘Click to Switch’—a reference noting that the cigarette can be converted to a menthol cigarette by crushing a small ball contained within the filter. The digital theme of the pack may represent an attempt to highlight the technology of the crushable filter. According to a spokesman for British American Tobacco (BAT), the launch of the Switch/Convertibles sub-brand was ‘the largest scale activity in the history of BAT Russia’ ensuring that ‘BAT is well positioned to take advantage of this new technology.’10 Other Kent packs play on themes of digital culture including HD, Surround and Nanotek (figure 2). 2012 Kent Convertibles (Netherlands) and IEC 5009 Power Button. 2012 Kent Convertibles (Netherlands), Surround (Switzerland) and HD (Serbia) packs. The signature element of the Marlboro Beyond, meanwhile, is the ‘Iceball’ which smokers crush to switch the cigarette to a menthol cigarette. Although the Iceball itself is a round pellet, the holographic image of it on the pack is more akin to a camera lens with a series of small diminishing rings. This feature links the pack with one of the hallmarks of digital culture, the smartphone. The pack is roughly the same size as many phones and the placement of the Iceball ‘camera lens’ is significant—so much so that the iconic Marlboro chevron has been displaced sideways to allow for its placement. Indeed, in Canada’s federal trademark database, Phillip Morris has registered the symbol and described it as an ‘optical lens.’11 The displacement of the chevron, meanwhile, creates what looks like an iPod’s ‘play button’ (figure 3). Inside the Swiss pack, an insert explains the ‘Iceball technology’ and provides a customer code to access the Marlboro’s website—furthering the association among the cigarette, the smoker and digital technology. 2012 Marlboro Beyond (Switzerland) and iPhone camera lens. The L&M Orange and Blue packs are also firmly rooted in the digital world, decorated with clouds that contain replicas of the ‘skip track’ buttons found on mp3 players and iPods. The side of the pack features the ‘rock on’ symbol being given by a ‘hyperlink hand,’ replicating the image that appears when a cursor is moved over an internet link. The side of the pack directs smokers to a website entitled the ‘House of Friends’ (figure 4) which may represent an attempt to foster an association with the culture of web-based social networking provided by websites such as Facebook, Instagram and Twitter. A pack insert gives further instructions on how to log on to the House of Friends where smokers can ‘win prizes for spending good times with your friends’ including videogame systems and a digital camera. 2012 L&M Blue Pack (Switzerland).